Bernard Khoury studied architecture at the Rhode Island school of Design and received a Masters in Architectural studies from Harvard University. In 2001, he was awarded by the municipality of Rome the honorable mention of the Borromini prize given to architects under 40 years of age. In 2004, he was awarded the Architecture + Award. He is the co-founder of the Arab Center for Architecture. 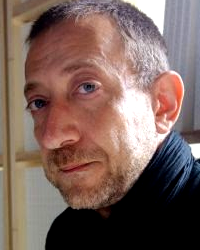 He was a visiting professor at the Ecole Polytechnique Federale de Lausanne, L’Ecole Speciale d’Architecture in Paris and the American University of Beirut. He was the co-curator and architect of the Kingdom of Bahrain’s national pavilion at the Venice Biennale’s 14th International Architecture Exhibition 2014. Over the past 15 years, his office has developed an international reputation and a significant diverse portfolio of projects both locally and abroad.